This page details all of my published work, ranging from standalone Christmas stories, to series such as Texas, Montana, and my action books Bodyguards Inc and Sanctuary. My goodness, RJ! I knew you had written a lot of books but this is crazy! After your big 2 year anniversary blog post and contest I thought I should look at all the works you had published.... Wow! I didn't know about the Fire series or the YA. I have no clue how you do it but keep up the great work! More books for my TBR list! Rofl....sorry i didn't see this comment..
Have all your books so far and I am eagerly awaiting the 7th Sanctuary book "World's Collide" Any idea when it will be available for purchase please ?? I am a very big fan of Your books, and I have read most of them. I was wondering if you knew when book number 2 in ''In the shadow of the moon'' series would come out on ipad? Because i 've bought 1 and 3, but number 2 han't come out yet. I was also wondering when the ''Ellery montain'' series would come out on ipad? Sorry for the delay in replying to you. We will look into why Broken Memories is not available on iTunes. It should be so thank you for pointing this out and I will update you on here once it is fixed. the kindle app on your Ipad. Thank you for enjoying my books :). Do you know if the case of the cupid curse has come out on kindle? Because i found the later books, but not the first one. I really want to buy this book, because your books are amazing!! I have your book A Better Man, but I do not see it on this list. I was just wondering why that was? Hi! It's Hanna again. I went looking on kindle again and still couldn't find the case of the cupid curse book 1, and i was wondering if you had figured out why? Thank you so much RJ! I have wanted to read the cupid curse for a long time now and it's finally out on kindle😄 going to start on it right away! 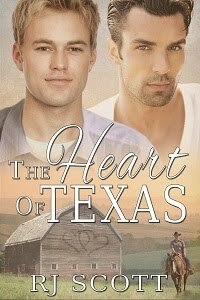 This may be redundant and please forgive me if it is, but I swear I have read an eighth installment in the Texas series. I truly remember Hayley graduating from high school, but can't for the life of me find it. Was it in an anthology? Any help would be greatly appreciated. It is entirely possible I have lost my mind at this juncture and I MIGHT be able to accept that but if I am still sane, I still need to visit with the Campbell-Hayes. I started jumping up and down when I saw there was going to be another Montana story!! !